As I understand it I HAVE to use the original USB OTG adapter from OnePlus before I can make use of the OTG functionality on my OnePlus 2. But what happens if I connect a USB OTG Y-cable (powered from a USB charger) to the original OnePlus 2 OTG adapter? 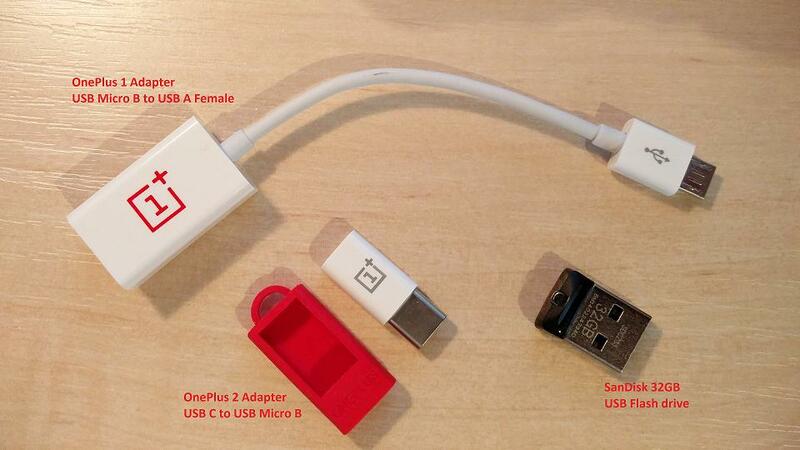 Normally you would just plug the OTG cable into your phone and then (hopefully) it would work - But with the OnePlus 2 phone you have to use OnePlus' original OTG adapter in order to make OTG work (That's what I have read anyway) - I'm just worried that connecting 2 OTG items (cable and adapter) might cause problems. If I could just find a cable like the one pictured above that ISN'T an OTG cable, then I don't think there would be a problem. [USB Micro-B] to [USB-A female] with a [USB-A male] for extra power. Hopefully the above would alow me to attach almost any device to my phone and I wouldn't have to worry about the phones power being drained in no time. I would also like to keep the amount of adapters, converters and cables to a minimum. One of the original OnePlus cables arrived today - It's supposed to be for the OnePlus 1, but I hoped it would work with the OnePlus 2 adapter. Better late than never (sorry)... None of the adapters that I have tried works. Maybe I received a FAKE OnePlus 2 adapter, I don't know. I officially give up trying to make it work. Does everything in this "adapter chain" have to support USB OTG ?? Browse other questions tagged usb-on-the-go oneplus-two or ask your own question. Can a faulty Micro-USB cable cause damage to your device? Does Android USB host mode depend on an OTG cable? 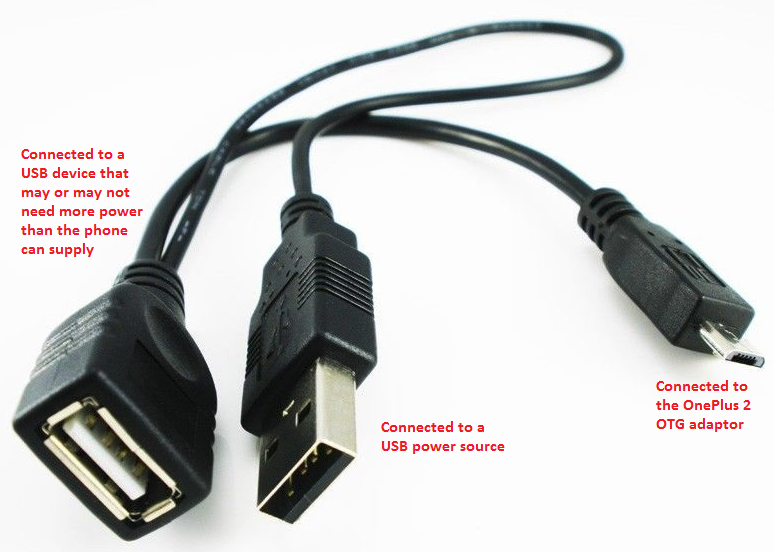 Connecting a USB stick: OTG cable required or will standard USB (charging) cable work? Must a USB OTG adapter be used to connect a DAC/amp to an Android or can I use a Micro USB to Micro USB cable? OTG mouse not working in Android 4? Will a OTG + USB ethernet cord work for Internet access? Why won't my USB headset work OTG with my Honor 6x? Can I connect a keyboard via micro-usb to a smartphone which doesn't support OTG?